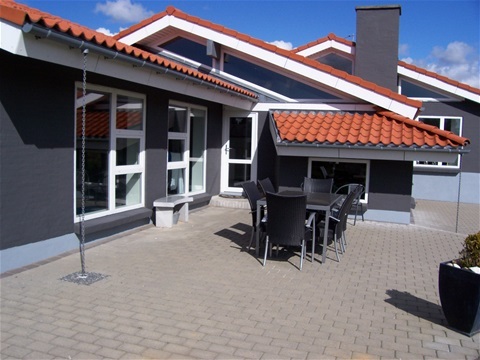 The house contains a fully equipped kitchen, 4 bedrooms with double beds, separate games room, hall with washing machine and dryer, bathroom with shower, large living room with beautiful lifted includes brick fireplace. 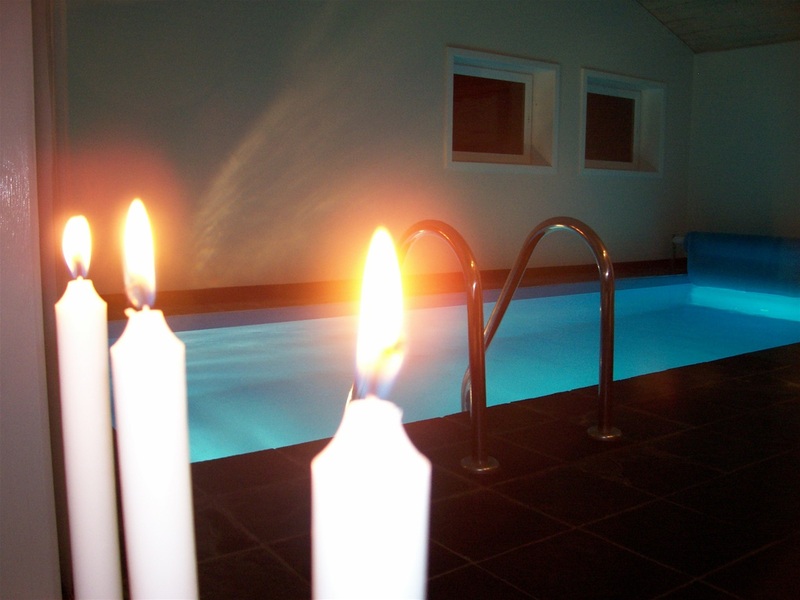 The big bright pool department offers steam/wellness cabin, solarium, sauna and even a bathroom with shower. Playroom forthe children with Playstation 2 and football table. Around the house is built with tiled terraces, where you can enjoy the sun or relax while the children play on the big lawn. Whole lot is within walking distance to tennis, bouncy castles, children's playground, mini golf course etc. in Jegum holiday country.